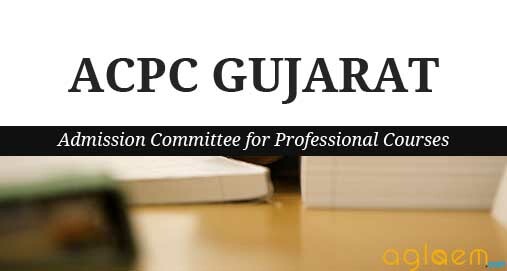 Candidates can check the ACPC Choice Filling 2019 process from here. 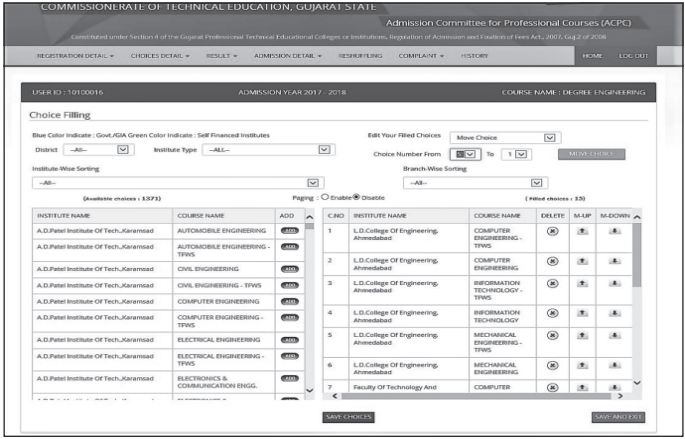 Get ACPC Choice filling 2019 complete information from here. A candidate seeking admission shall apply online, for the registration of his candidature, on the website, within the time limit specified by the Admission Committee. 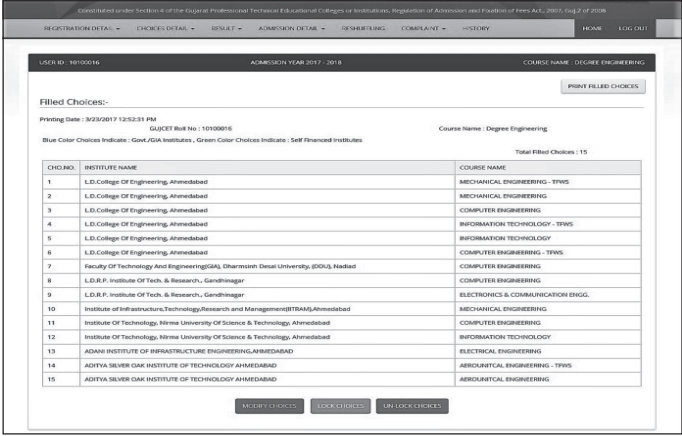 Candidates can fill their choices for various courses from the link below. 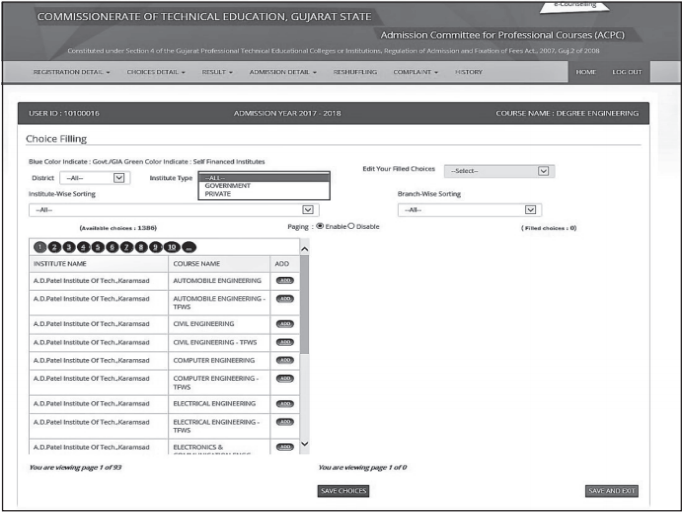 www.gujacpc.nic.in by using login ID and password within the time limit as prescribed by Admission Committee. 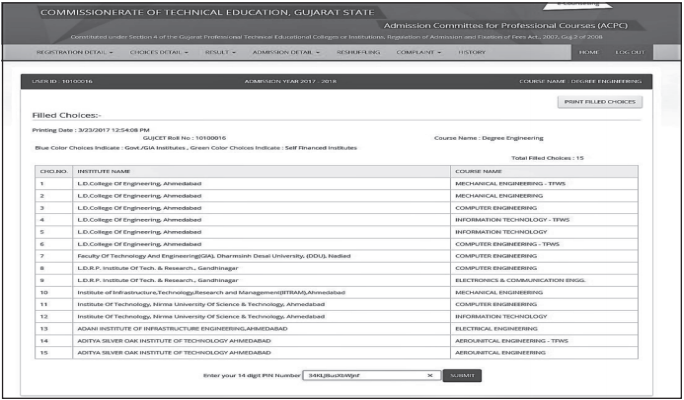 After login, the candidate can see all available choices according to his eligibility (Category, Subcategory, Gender, TFWS etc). There will be so many options of available choices for the candidate. 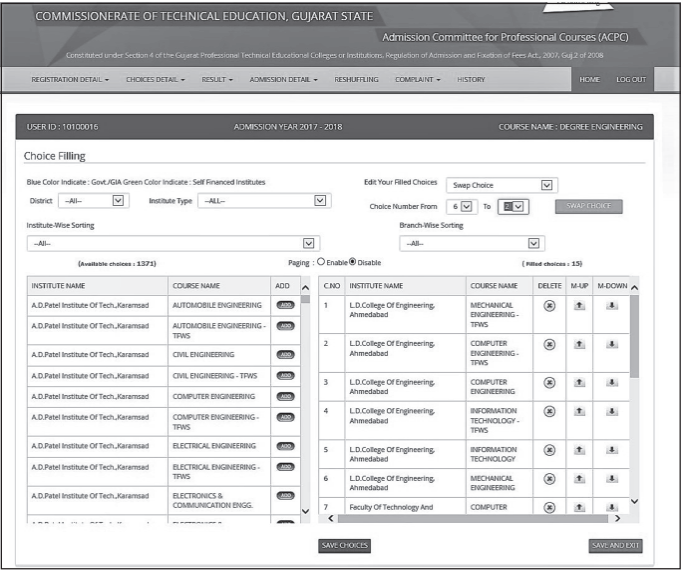 The candidate can sort his choices according to institute name and/or course name, district wise etc. 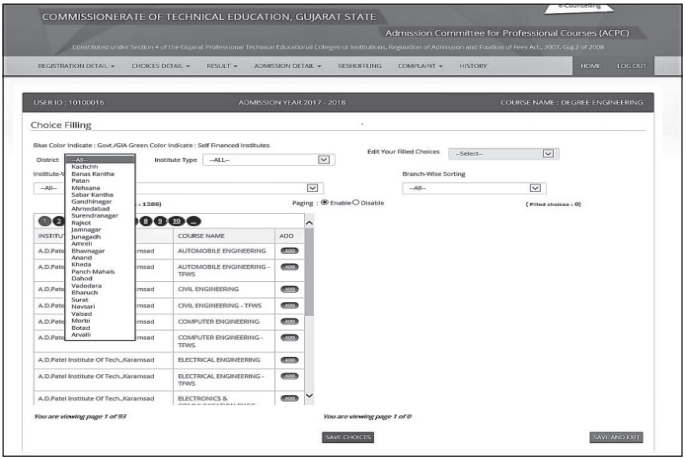 For filling up single choice, by clicking on ADD button in the first grid, one can fill single choice at one time and the choice will be displayed in the second grid below the previously selected choices. In Move Choice Function, the candidate, by entering the current choice number  in the box and the choice number to which it is to be shifted  in the box, can get the current choice number  inserted between choices 1 and 3. Using Swap Choice Function, the candidate can interchange any two choice priorities. For this candidate will have to enter choice numbers which are to be interchanged in the boxes provided. Choice number  will be shifted to choice number  and the previous choice number  will be shifted to choice number . The candidate has to click on Save choices button for saving the filled choices at regular interval. After filling all choices he has to click on Save and exit button then a window will open, which will show the filled choices in order of preferences. If the candidate wants to modify choices, he should click on Modify Choices button then he will be redirected to the choice submission page. The candidate has to lock his final choices within the stipulated time limit. On clicking Lock Choices button a message “Enter your 14 digit PIN” will be displayed. After entering your PIN, choices will be locked. If he wants to modify the locked choices, he may do so by clicking on Unlock Choices button. By entering your 14 digit PIN you can unlock the filled choices. Repeat the same procedure of locking of choices mentioned earlier. The candidate has to click on Save choices button for saving the filled choices at regular interval. After filling all choices he has to click on Save and exit button then window will open which will show the filled choices in order of preferences. Insofar, Official details regarding ACPC Admission Choice Filling 2019 has not been released. Information on this page is as per the last year details and only for the reference purpose. 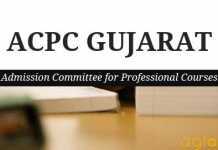 As soon as the ACPC Gujarat release the information regarding ACPC Admission Choice Filling 2019 the same will be updated here on this page.